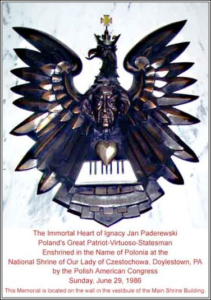 Ignacy Paderewski was born on 6 September 1860 at Kurylówka in Podolia (now Ukraine). He began his music studies in 1872 at the Warsaw Conservatoire and six years later he became a piano teacher at the same school. In 1881 he continued his education, studying composition with F. Kietl in Berlin, after which he moved to Vienna to perfect his skills in performance under the tutelage of T. Leszetycki. He made his debut as a pianist in Vienna in 1887, quickly gaining renown and acclaim worldwide. He spent the next nine years traveling and giving concerts throughout Europe, Australia, the Americas, and Africa. In 1896 he settled in Switzerland and six years later he moved to the United States. Towards the end of the First World War Paderewski became actively involved in the work of the KNP (Polish National Committee). In 1918 President Wilson declared in the thirteenth point of his address, on the bringing of the war in Europe to an end, that the Polish state should be re-established for the country’s indigenous population. In 1919, in the newly independent Poland, Paderewski became the Prime Minister and Minister of Foreign Affairs (January 1919 – December 1919), and he thus represented Poland at the Paris Peace Conference. In the summer of that year, he signed the Treaty of Versailles, which restored the territories of Greater Poland and Pomerania around the City of Gdansk to Poland. Upon his resignation in 1919 he took on the role of Polish Ambassador to the League of Nations. 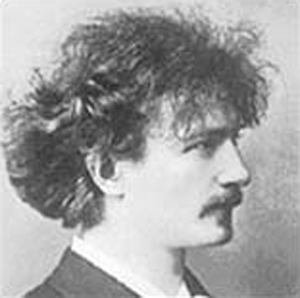 In 1921 Paderewski withdrew from politics. In 1922, his first concert after a long break, held at Carnegie Hall, was a significant success. He also filled Madison Square Garden (20,000 seats) and toured the United States in a private railway car. Paderewski appeared in a film, “Moonlight Sonata,” in 1936. Paderewski returned to politics during the Second World War when he became Chairman of the National Council, an émigré Polish parliament in London, in 1940. He died suddenly of pneumonia on 29 June 1941 in New York. His remains, buried at the Arlington National Cemetery, were brought to Poland in 1992 by Gen. Edward Rowny and laid to rest in St. John’s Cathedral in Warsaw. His heart is encased in a bronze sculpture in the National Shrine of Our Lady of Czestochowa near Doylestown, Pennsylvania.